1. True or false? No one has ever successfully swum across Lake Erie. 2. This province was the site of the highest recorded temperature ever in Canada at 45C. Which province was it? False. Several swimmers have completed the crossing, the first being Pat Budny in August 1975. 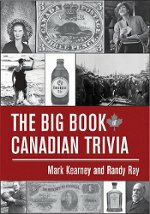 2. c) The highest temperature recorded in Canada was in Saskatchewan in July 1937.